메이플스토리 테스트 클라이언트 Ver. 1.2.410 릴리즈가 수정되었습니다. 1. 모험가 도적 및 도적 직업군, 해적 및 해적 직업군 전체 스킬의 MP 소모량 및 공격력이 재조정되었습니다. 2. 어쌔신/허밋/나이트 로드의 스킬이 개편되었습니다. - 아드레날린(3차) : 회복 물약 사용 시 효율을 증가시켜 주는 신규 스킬입니다. - 쉐도우 웹 (3차) : 마스터 레벨이 10으로 조정되었습니다. - 섀도어 인스팅트(4차) : 패시브 효과로 스킬 레벨 1 이상일 때, 암살을 제외한 모든 공격에서 킬링 포인트를 획득할 수 있도록 변경되었고, 사용 시 물리 공격력이 30 증가하고, 킬링 포인트 당 6의 물리 공격력이 추가로 증가하도록 변경되었습니다. - 암살(4차) : 쿨타임이 삭제되었습니다. 섀도어 인스팅트 스킬의 패시브 효과로 모은 킬링 포인트가 5개인 상태에서 암살 스킬을 사용하면 2.5배의 데미지가 적용됩니다. 단, 암살 스킬로 적을 공격하지 못하면 모은 킬링 포인트는 소모되지 않습니다. 암살 스킬의 적용 범위가 상향 조정되었습니다. - 무스펠 하임(3차) : 넉백 확률이 80%에서 100%로 상향되었습니다. - 카르마(2차) : 물리 공격력 상승 수치가 상향 조정되었습니다. 5. 모험가 해적 직업군의 공통스킬이 개편되었습니다. - 퀵 모션(1차) : 회피치 증가 효과가 삭제되고, 대신 패시브 효과로 이동 속도 상한과 점프력을 영구히 증가시켜 주도록 변경되었습니다. - 대쉬(1차) : 대쉬 상태에서의 이동 속도가 상향 조정되었고, 마스터 레벨이 10으로 조정되었습니다. - 멘탈 클리어리티(2차) : 공격력 증가 효과가 상향 조정되었습니다. - 크리티컬 레이지(3차) : 크리티컬 확률 증가 옵션이 추가되었고 마스터 레벨이 20으로 조정되었습니다. - 스턴 마스터리(3차) : 스턴 상태의 적 공격 시 크리티컬 확률이 상향 조정되었습니다. - 더블 스파이럴(3차) : 더블 스파이럴 사용 후 스크류 펀치를 연계해서 사용할 수 있도록 변경되었습니다. - 에너지 차지(3차) : 에너지 차지 상태에서 바디 어택 효과가 삭제되고 에너지 차지 시 회피치 증가 옵션이 방어력 증가 옵션으로 변경되었습니다. 추가로 에너지 차지 상태에서 이동 속도가 증가하고 물리 공격력 증가치가 상향 조정되었습니다. 에너지 차지의 지속 시간이 30초로 감소되었지만 에너지를 충전하는 양이 상향 조정되었습니다. - 에너지 블라스트(4차) : 확률적으로 추가 에너지를 충전하던 패시브 효과가 100% 추가 충전되도록 변경되었습니다. - 바이퍼지션(4차) : 액티브 효과가 총 공격력 증가로 변경되었고, 패시브 효과로 너클 숙련도 및 상태 이상 저항, 모든 속성 내성이 증가하도록 변경되었습니다. - 윙즈(2차) : 윙즈의 스킬 동작 및 이펙트가 수정되었습니다. - 백스텝 샷(2차) : 스킬 사용 후 딜레이가 감소되었습니다. - 풀메탈 자켓(3차) : 크리티컬 확률 및 방어 무시 비율이 상향 조정되었습니다. - 할로포인트 불릿(3차) : 물리 공격력 증가량이 상향 조정되었습니다. - 어셈블 크루(3차) : 쿨타임이 감소되었습니다. - 발키리 페이션트(3차) : 패시브 효과에 HP/MP 증가 옵션이 추가되었고 물리/마법 방어력 증가치가 상향 조정되었습니다. 마스터 레벨이 20으로 조정되었습니다. - 크루 커맨더쉽(4차) : 어셈블 크루로 소환된 선원에 구분없이 공통적으로 물리 공격력이 증가하고, 무라트일 경우 크리티컬 시 데미지, 발레리일 경우 크리티컬 확률, 잭일 경우 이동 속도 및 HP, 물리 방어력이 증가하도록 변경되었습니다. - 캡틴 디그니티(4차) : 건 계열 숙련도 증가 및 공격 시 추가 데미지를 입히는 패시브 효과로 변경되었습니다. 마스터 레벨이 30으로 조정되었습니다. - 마인드 컨트롤(4차) : 삭제되었습니다. - 토네이도 어퍼(2차) : 빠른 어퍼로 회오리 바람을 일으켜 적들을 공격하는 신규 스킬입니다. - 에너지 차지(2차) : 에너지 차지 상태에서 바디 어택 효과가 삭제되고 에너지 차지 시 회피치 증가 옵션이 방어력 증가 옵션으로 변경되었습니다. 추가로 에너지 차지 상태에서 이동 속도가 증가하고 물리 공격력 증가치가 상향 조정되었습니다. 에너지 차지의 지속 시간이 30초로 감소되었지만 에너지를 충전하는 양이 상향 조정되었습니다. - 에너지 블라스트(3차) : 확률적으로 추가 에너지를 충전하던 패시브 효과가 100% 추가 충전되도록 변경되었습니다. - HP 증가(1차) : 기존 2차에서 1차로 이동되었습니다. - 스파크(3차) : 마스터 레벨이 10으로 조정되었습니다. 이 외에 스킬과 관련된 오류들이 수정되었습니다. 1. 일부 마스터 레벨 조정에 따라 마스터리 북이 변경되었습니다. 2. 개편에 따라 사용할 수 없게 된 스킬북의 경우 운영자를 통해 신규 마스터리 북으로 교환할 수 있습니다. 3. 반 레온 모드가 동시에 여러 원정대 입장이 가능한 인스턴스 던전의 형태로 변경되었습니다. - 테스피아의 반 레온은 20세 채널에서 진행 가능하며, 테스트를 위해 1일 입장제한이 10번으로 설정되어 있습니다. 1. Thieves and Bandits job adventurers, Pirates and Infighters job ALL Skill MP consumption and the damage has been revamp. 2. Assassin / Hermit / Night Lord's skills have been changed. - Alchemist (3rd): Recovery Potion that increases the efficiency of use is a new skill. - Shadow Web (3rd): Master level was adjusted to 10. 3. Bandit / Chief Bandit / Shadower has been changed. - Shadower Instinct (4th): passive effects or higher skill level 1, the assassination of the attack, killing all but has been changed so that you can earn points, using a 30 increase in physical damage and physical damage killing of six points per has been changed to an additional increase. - Assassination (4th): Cooldown has been removed. Collected by the passive effects of the skill Shadower Instinct Killing Point assassinated in a 5-state 2.5 times the damage when using the skill is applied. However, if you do not attack the enemy with the assassination skills Keeling points collected are consumed. Coverage of the assassination skill has been raised. - Foreign Spell Haim (3rd): 80% chance of knockback has been raised to 100%. - Karma (2nd): Rising levels of physical damage has been raised. 4. Night Walker skills has been changed. 5. Pirate Adventurer's a common skill occupations have been changed. - Quick Motion (1st): Increases the effect hoepichi deleted, and a passive effect instead of the upper jeompeuryeok speed was changed to a permanent increase. - Dash (1st): Dash has raised 3278 speed, and adjust the master level is 10. 6. Infighter / Buccaneer / Viper's skills have been changed. - Mental Clarity (2nd): Damage increased effectiveness was raised. - Critical Rage (3rd): increases critical chance the option has been added to adjust the master level is 20. - Stun Mastery (3rd): Stern states critical chance when attacking the enemy has been raised. - Double Spiral (3rd): double-spiral in conjunction with a punch after the screw has been changed so that you can use. - Energy Charge (3rd): The energy charge-state effects on the body attacks will be deleted when the energy charge increases hoepichi options armor has been changed to increase the options. 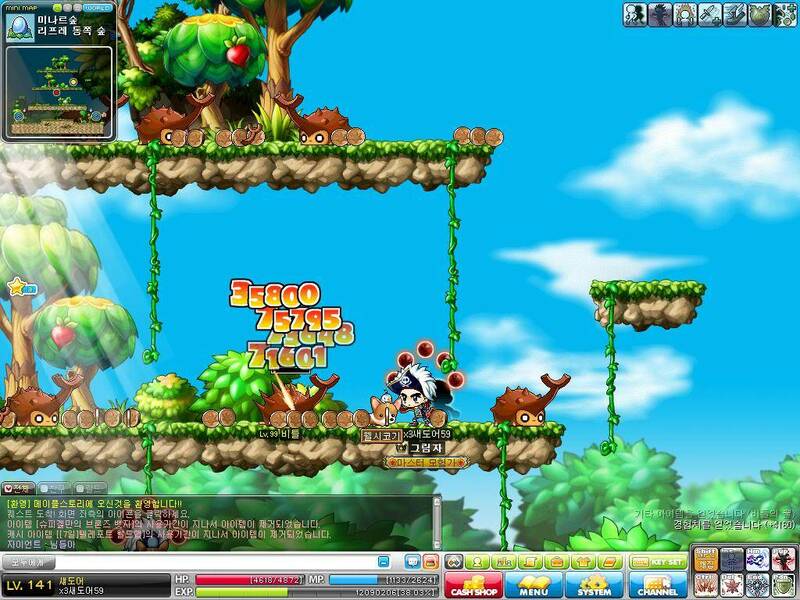 In addition, the movement speed increase while the energy charge and increased physical damage value has been raised. Energy Charge reduced to 30 seconds duration, but the energy is raised the amount to charge. - Energy Blast (4th): Chance of a passive effect of the additional energy charge was changed to 100% additional charge. - Viperstition (4th): Active effect has been changed to increase the total damage, effect of passive resistance to the knuckle than skill, and the state, and all properties have been changed to increase resistance. 7. Gunslinger / Valkyrie / Captain's skill has been changed. - Wings (2nd): wingjeuui skills and effect behavior has been corrected. - Back Barrel Shots (2nd): this skill has been reduced after the delay. - Full Metal Jacket (3rd): Critical Rate, and ignore defense ratio was raised. - Harlow Bullet Point (3rd): Physical Damage has been adjusted upward growth. - Crew Assemble (3rd): cooldown has been reduced. - Valkyrie Patient (3rd): Passive effects of HP / MP option has been added to increase the physical / magic defense has been raised by increments. Adjust the master level is 20. - Crew Commanership (4th): Assemble the crew in the crew, whether they are summoned to the common increase in physical damage, and if the Village teuil at critical damage, critical chance, if balreriil, if jaekil speed and HP, physical defense increase has been changed to. - Captain Dignity (4th): cases increase family skills and attacks inflict additional damage has been changed to a passive effect. Adjust the master level is 30. - Mind Control (4th) has been deleted. 8. Striker skill has been changed. - Tornado Upper (2nd): As fast Upper causing a whirlwind is a new skill to attack enemies. - Energy Charge (2nd): The energy charge-state effects on the body attacks will be deleted when the energy charge increases hoepichi options armor has been changed to increase the options. 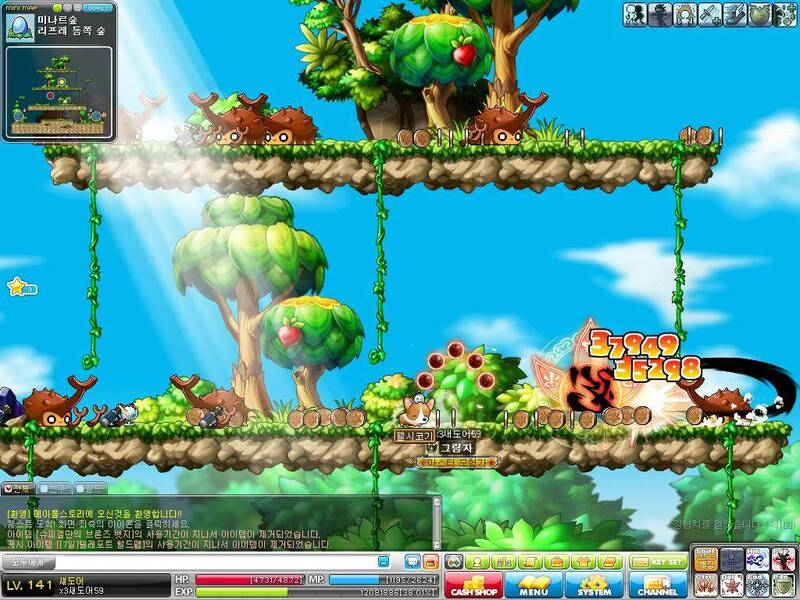 In addition, the movement speed increase while the energy charge and increased physical damage value has been raised. Energy Charge reduced to 30 seconds duration, but the energy is raised the amount to charge. - Energy Blast (3rd): Chance of a passive effect of the additional energy charge was changed to 100% additional charge. - HP Increase (1st): primary has been moved to an existing two car. - Sparks (3rd): Master level has been adjusted to 10. In addition skills and their associated error has been corrected. 1. Mastery drum according to some master level control has been changed. 2. Reorganized according to the skill book becomes unavailable, the operator can be exchanged via the new Mastery north. 3. Leon van expedition mode position simultaneously in the form of an available instance dungeons have been changed. - Leon teseupiah half of the proceeds from the age of 20 available channels, and one day admission to the test limit is set to 10. Shadower changes... looks like now the more balls you get the higher damage you deal with Assassination look at the screenshot below... with 5 balls I can deal over 75k or even 80k without balls just 30k or 40k and some new animation changes. For Night Walker or Night Lord just some skill with added sound and a new skill Alchemist. For my Viper I don't find much changes. Leon teseupiah half of the proceeds from the age of 20 available channels, and one day admission to the test limit is set to 10. 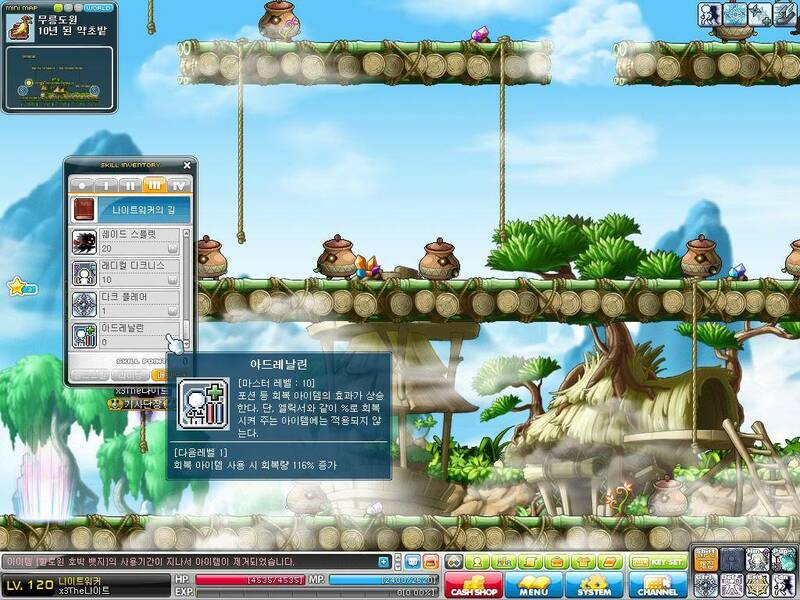 It means, several expeditions can enter in one channel together similar to Horntail and Zakum.